The Seneca County Sheriff’s Office reports that on 10/09/18 at around 11:30 am, Deputies arrested Austin J. Lee, 17, of 4887 Rt 96A following an investigation that occurred at the Hillside Childrens Center. It is alleged that Lee got into a physical altercation on 10/02/18 with another male and Head Butted that male in the face; causing that male to break his nose. Lee was arrested and charged with Assault in the 3rd degree (Class A Misdemeanor). Lee was processed at the Seneca County Correctional Facility and released on an appearance ticket. He is scheduled to appear at the Varick Town Court on a later date to answer charges. 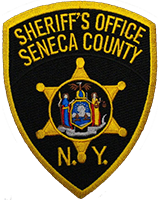 The Seneca County Sheriff’s Office reports that on 10/06/18 at around 10:30am, Deputies responded to 953 Waterloo Geneva Road Apt #2 in Waterloo, NY for a Domestic incident. Upon further investigation, Deputies arrested Scott M. Helstrom, 26, (same address) for Harassment in the 2nd degree (Violation), Endangering the Welfare of a Child (Class A Misdemeanor) Criminal Contempt in the 1st degree (Class E Felony) and Aggravated Family Offense (Class E Felony). It is alleged that Helstrom violated an active Class B Order of Protection when he had a physical altercation with a protected female party in front of a 2 year old child. Helstrom was transported to the Seneca County Law Enforcement Center where he was arraigned in the CAP court and released on $1000 bail to reappear in the Town of Waterloo Court on the charges. The Seneca County Sheriff’s Office reports that on 10/06/18 at around 06:00 am, Deputies responded to the corner of Gassner and Powderly Road for the report of a personal injury accident. When Deputies arrived on scene they found an SUV on the side of the road , Upon further investigation, Deputies arrested Jennifer L. Hauf, 39, of 211 E Williams Street in Waterloo, NY for Driving While Intoxicated. Hauf was also charged with having a BAC of .08% or more, and issued a UTT for Failure to Keep Right. Hauf was transported to the Seneca County Correctional Facility where she was processed. She was released on appearance tickets and set to appear in the Town of Junius Court on a later date. Drug Take Back Day –Clean Them Out –Take Them Back. On Saturday, October 27th, 2018, The Seneca County Sheriff’s Office, partnering with the DEA, will conduct another DRUG TAKE BACK DAY at two Seneca County locations. From 10:00 AM to 2:00 PM Deputies will collect potentially dangerous, expired, unused and unwanted prescription drugs for destruction. This service is free and anonymous with no questions asked and no paperwork to complete. Citizens may drop off these drugs at the Seneca County Law Enforcement Center, 6150, Route 96, Romulus, N.Y. or at the Sheriff’s sub-station at 44 West William Street, Waterloo, N.Y. Deputies will be on hand to answer any questions or concerns. In addition to the TAKE BACK DAY citizens may drop off these drugs at any time in one of the Sheriff’s two Unwanted/Unused Prescription Drug Drop-Off Return Kiosks. These kiosks are located in the main lobby of the Seneca County Law Enforcement Center and the first floor, (near D.M.V. ), of the Seneca County Office Building, 1 Dipronio Drive, Waterloo, N.Y.
Take Back Day is a safe, convenient and responsible way to dispose of unused or expired prescription drugs. Several events on 10/17/2018 led to the apprehension and arrest of a Parole Absconder who was on parole for violent felonies. 10/17/2018, 7:00 AM: Seneca County Sheriff’s Investigators assisted New York State Parole Officers with trying to locate Robert A Wilson, age 43, on parole from the Elmira N.Y. area. Wilson was wanted by Parole for absconding about 8 months ago. Wilson had been released on Parole for the charges of Assault 1st degree, Robbery 1st degree and Promoting Prison Contraband. Officers were checking a Town of Ovid residence and were able to gain information about a possible residence on Green Street in the Town of Seneca Falls. 10/17,2018, 8:30 AM: Sheriff’s Deputies, Town Police Officers, State Police and Parole responded to the Green Street residence to try and locate Wilson. Wilson was at the residence and tried to jump out of a second story window. While Wilson was being apprehended he fought with the arresting Officers and violently resisted arrest. He was brought under control and transported to the Law Enforcement Center in Romulus. 10/17/2018, 9:50 AM: Wilson was hand cuffed to a restraining bench in the Investigation Division while Officers drew up charges. Wilson slipped out of the handcuffs by injuring his own wrist and hand to do so. He then fled the building. Officers pursued on foot and observed Wilson entering a large cornfield at the intersection of Route 96 and Bromka Road in the Town of Romulus. A perimeter was established around the cornfield with all available Officers including: Deputies, Investigators, Corrections Officers, New York State Police and Parole Officers. The Sheriff’s K-9 Units were deployed as well as the Sheriff’s Drone Unit. 10/17/2018: 1025 AM: The Drone Unit spotted Wilson and radioed his location. Wilson then fled the cornfield and was apprehended by Officers on the perimeter. Wilson again violently resisted arrest but was brought under control without incident. Wilson has been charged with: 2 counts of resisting arrest, Escape in the first degree, and Obstructing Governmental Administration. New York State Parole has charged Wilson with violation of Parole. At the time of this release Wilson is being held at the Correctional Facility awaiting arraignment. September 4th, 2018: The curfew was lifted for the Lodi Flood area. Added patrol remains in effect. September 6th, 2018: NARCO apprehended and charged a subject for trafficking cocaine in Seneca County. September 20th, 2018: Investigators arrested 2 suspects for stealing a car in Waterloo, selling it and forging vehicle documents. September 25th, 2018: NARCO charged a suspect in Waterloo for unlawfully possessing Narcotic Medication. September 27th, 2018: The Family Services Unit charged a suspect from Ovid for sexually abusing a 15 year old female. September 2018: Sheriff Luce launched a new Public Safety App to enhance Community Policing. September 2018: To prepare for “Raise the Age” legislation the 2 Family Services Unit Investigators were trained and certified as Advanced Juvenile Officers. The Seneca County Sheriff’s Office reports that Sheriff’s Investigators arrested a thirteen year old male for Assault in the Third Degree following an investigation into a fight that took place in the Town of Romulus on October 1, 2018. It is alleged that the thirteen year old engaged in a physical altercation with another male, causing physical injury to the male victim. The thirteen year old male is scheduled to appear at the Probation Department on a later date to answer the charge. The suspect’s name is being withheld due to his age. The Seneca County Sheriff’s office reports that on October 12, 2018 at 03:07 PM, Seneca County Sheriff’s Deputies arrested Nghia Q Truong, age 50, 8111 Crestview Drive, Niagara Falls, New York. He was charged with Criminal mischief in the 3rd Degree (Class E Felony). This arrest stems from an incident that occurred on September 8th, 2018 at del Lago Resort and Casino, located at 1133 St Rt 414 in the Town of Tyre. It is alleged that Truong damaged a vehicle belonging to another person and the value of the damage was in excess of $250. Truong was issued an appearance ticket and is to appear in the Town of Tyre Court at a later date to answer the charge. The Seneca County Sheriff’s Office reports that on October 8th, 2018, at approximately 1:20 AM, Sheriff’s Deputies responded to a motor vehicle accident that occurred on State Route 89 in the Town of Romulus. Upon the arrival of Sheriff’s Deputies, a truck had crashed into the ditch. A total of five occupants were inside the truck at the time of accident. Luckily, all five occupants were uninjured. While investigating the accident, the five subjects provided Sheriff’s Deputies with fraudulent identification and immigration documents. After further investigation, it was determined that the five individuals were currently in the United States illegally. The United States Border Patrol was then notified and the five subjects were turned over to them for further action. Criminal Possession of a Controlled Substance in the Seventh Degree, a Class A Misdemeanor. Markel was held at the Seneca County Correctional Facility on pre-arraignment detention and will be arraigned in the Seneca County Centralized Arraignment Court. The Narcotics Unit was assisted by members of the Sheriff’s Office Road Patrol Division and Corrections Division, New York State Police, Seneca Falls Police Department, and Wayne County Sheriff’s Office.